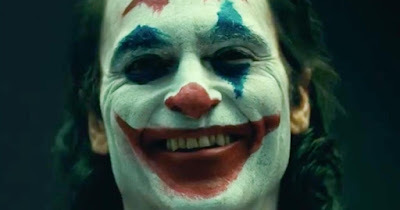 SCARY HORROR STUFF: Will Joaquin Phoenix's New Joker Change the Way We Look at Superhero Movies? Will Joaquin Phoenix's New Joker Change the Way We Look at Superhero Movies? Better yet.... Horror movies? Potentially. And that's exciting. Because for once, we might actually see a film or a story that focuses solely on the villain and not the hero. We received some foreshadow to that with the likes of Marvel's Infinity War for the first time featuring the villain winning the day. Do the math in your head, and this often does seem to dove-tail nicely with the ever-present and burgeoning horror movie! Watch the Trailer for Yourself and Ask the Question -- Is the Joker Now the Protagonist? In a way, yes. That's a cool thing to behold. For decades, the character of the Joker, Batman's arguably most formidable foil, has been somewhat of a mystery in terms of origin, which isn't a rare thing in any film or story. Generally we don't know much about the villain except for the fact that the villain's bad and wants to kill/eat/murder/destroy or [fill in the blank] anything and everyone, and the protagonist must put a stop to it. Imagine the richness of this story. If Joaquin Phoenix's portrayal makes bank, we can see this classic Spider-Man villain hit the mark in a big way. After all, seeing the likes of Venom make money, and the prospects of a Sinister Six, seem like ample motivation to pull out a fitting character piece for the newest technological version of Dr. Jekyll and Mr. Hyde, don't you think? We focused so much on Marvel's first family and didn't even consider telling a story of what led to the unholy birth of another doctor with such frightening powers. We sort of saw a bit of an origin with that begotten and forgotten Josh Trank vehicle -- but, hey, we can re-imagine a reboot in this case. There we have a rich past filled with family drama, heartache, pain, indifference and a certain jaded-ness that wreaks of villainy. Of course, we saw a slight origin with Jesse Eisenberg and Batman V Superman: Dawn of Justice, but what would happen if we went back even further? Have we even truly seen an origin story involving Freddy Krueger? Or what about the Candyman? Perhaps you'd fancy an interesting Seven-like crime thriller involving one Charles Lee Ray before he became Chucky? Or what made John Kramer the villain Jigsaw? I'd actually like to see a full-on portrayal and depiction of the stories that brought these villains into what we actually know today. I think it would be interesting! Let us know what you think about certain villains, monsters and horror stories that deserve a good origin from the perspective of evil. Who knows: you might come up with one Hell of an idea!